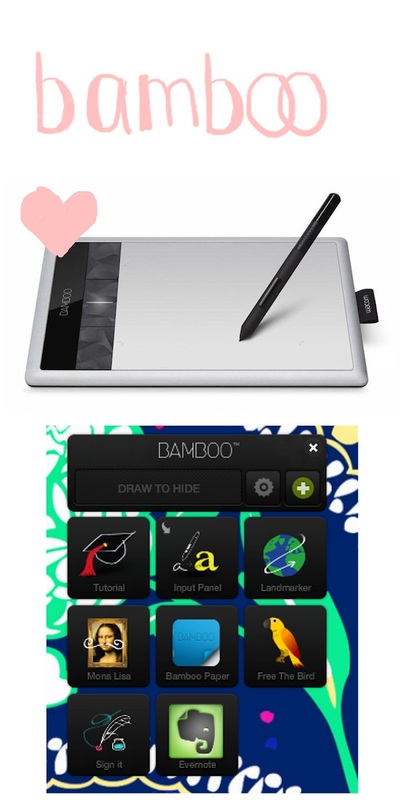 So I was recently able to get myself a Bamboo Capture Tablet! I've wanted one for the better part of a year - and so when I was presented with the opportunity to get one, I didn't hesitate! This drawing tablet is amazing! As you can tell by the shaky header and little heart on the header below, I'm currently getting used to drawing on the tablet surface and looking at my computer screen. It's quite difficult and it's probably going to take a little while before I'm pro at that. Not only can you draw with the Bamboo Capture - you can edit photos, sign documents (!!!) and play really fun drawing games. 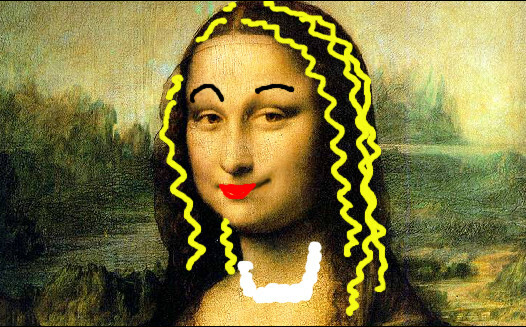 My favourite is the "Mona Lisa" game. Doesn't she look worlds better with a pearl necklace and some highlights?! Anyway - I love my new drawing tablet and can't wait to use it for fun and exciting things on the blog!